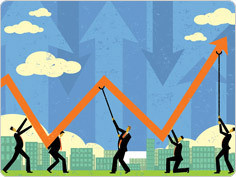 Breaking Moore’s Law – Can technology maintain its current pace of growth? With its depth of only 6.7mm, the iPhone 6 holds more processing power than was used by NASA at the time of the 1969 moon landing and over four times that of the Mars Curiosity Rover. Here, Jonathan Wilkins, marketing director of European Automation, analyses the rate of technological progress and discusses the validity of Moore’s Law. In 1965, Gordon Moore, founder of Intel, predicted that throughout the future of technological hardware, the number of transistors per square inch of integrated circuits will double approximately every two years. This observation came to be known as Moore’s Law. At the time, the industry as a whole was still in its infancy. In fact, Intel itself would not be founded for a further three years. Defying expectations, Moore’s prediction was correct and continued to hold true for over half a century. In fact, Moore’s Law became so well known that it turned into an industry objective for competing companies. The increase of the number of transistors on integrated circuits was made possible by shrinking the size of the transistor. Simply translated, Moore’s Law is one of the reasons why each generation of iPhone is thinner, yet more powerful than the previous. But Moore’s Law is beginning to lose its momentum. Recently, Intel announced that for 2016, it will continue to use the current 14 nanometre processes – as opposed to the smaller ten nanometre chips we were all expecting. Only a few days after Intel’s announcement, Apple partner TSMC estimated it will be mass producing ten nanomentre chips by early 2017. Clearly, tech companies are struggling to keep up with Moore’s Law. Although they are not ready for official release, the ten nanometre size chips can be successfully manufactured by using pure silicon. However, shrinking manufacturing beyond this will require the use of different materials, which means that sooner or later, Moore’s law will become obsolete. Unfortunately for Intel, IBM recently announced a breakthrough seven nanometre processor. This incredibly thin chip was made possible by using a silicon-germanium alloy (SiGe). This new material improves electron mobility and enables faster switching transistors with lower power requirements. Although functional, IBM’s seven nanometre SiGe chips will not ready for mass production until 2017. The era of Moore’s Law may be coming to a natural end, but technologists argue that the concept is simply changing form. Soon, a new generation of quantum processors could be developed, built on the principals of quantum physics. By using new technology and new materials future processors could break the expectations set by Moore’s Law. • Moore’s Law as covered by WIKIPedia. Engineers are the future. Keep inspiring another generation! We have never been able to manage to get to NI Week, which is held annually in Austin Texas, more than 4000 miles away from Ireland as the crow flies. However we have been able to attend vicariously, via twitter, the live-streaming of keynotes and the blogs and releases issued during and immediately afterwards. We have gathered the links to articles, blogs and pr material as we became aware of them and put them in a box on our Home Page to assist the busy engineer, nerd or geek who wanted a quick place to see these without having to trawl through what seemed like thousands of tweets. We have included that box below this article. The enthusiasm of these National Instruments events is legendary and it continually seeped through these social media sharings. Things like “My biggest takeaway from every #niweek keynote: science and engineering are freakin cool!” (@TheRealAdamKemp ) or “Dr T kicked off #NIWeek 2013 by talking about Graphical System Design, Industry 4.0 and Cyber-Physical systems (oh, and bagpipe tuners! )” (@mjg73 ) and “My twitter news feed is blown up because of #niweek 🙂 totally not complaining! LOVE the new #roboRIO (so jealous I don’t get to use it)” (@alexkay4235 ). 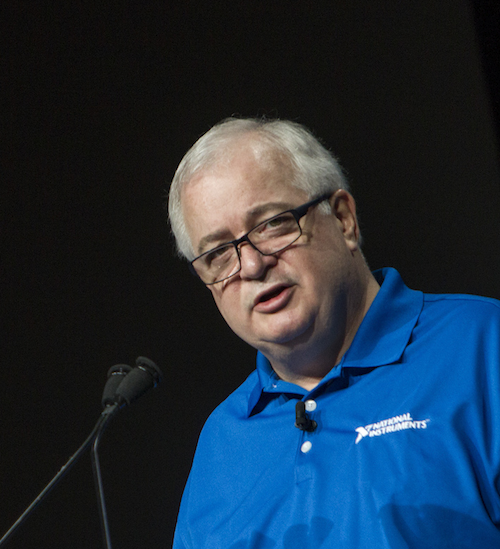 Another reported “Nearly 4,000 attendees packed in for the #NIWeek conference with over 1,000 streaming online!..” And more wonder & delight, “3rd year here, and the #NIWeek keynote intro still raises the hair on my neck!” (@Backerthebiker) or “Dang! 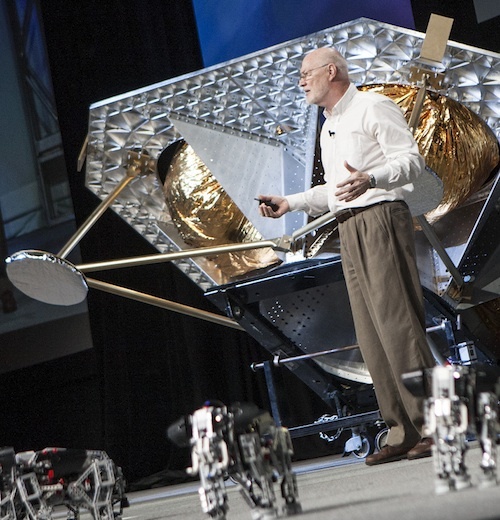 Opening video presentation at #NIWeek 2013 was AWESOME! Kicking off this year’s conference with a big boom.” (@lindseyjo23); “Ready for another day of great madness! Love #NIweek” (@Fabiola31416). In think you get the idea! The second day commenced with a presentation by the other side of the foundation duo, Jeff Kodosky – the Father of Labview. 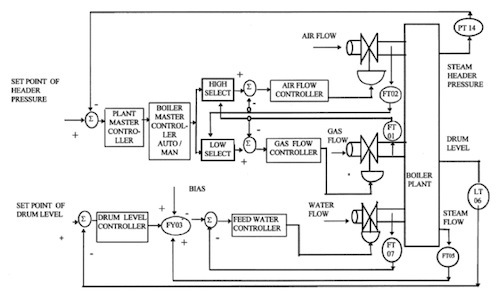 Fostering discovery – using Labview in the most difficult applications. These include the iconic CERN project in Europe, sensitive healing technologies for cancer treatment and facilitating food production in otherwise impossible areas. Day three Ray Almgren discussed Inspiring and Preparing the Next Generation of Innovators, always a strong suite with National Instruments. However we have no intention in treating on these “keynote” sessions. No! 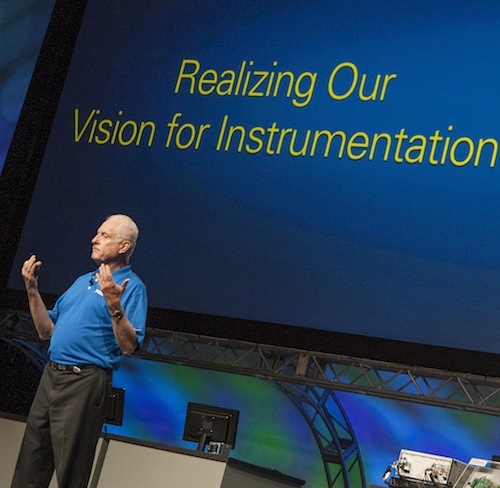 National Instruments with their usual efficiency, have provide professional videos of NIWeek 2013 Keynote Presentations and they are well worth looking at. They have divided each days keynotes into four sections which means that one can navigate to the topics/technologies of interest. There are a few presentations which impressed your correspondent. We saw some high-school students using the NI roboRIO on a frisbie fairing robot. They started the system and there was a pregnant pause interrupted by one of them saying “Uh-oh!” One of the Nat Instrument guys (Ray Algrem) came across to see what was wrong but obviously the students had it under control as they explained what the robot was doing while nothing could be seen. “What’s the probability of success?” he asked dubiously. “High!” was the confident (and indignant) response of the students! And they were right! They then used the doubting presenter for target practice as they used him in a William Tell-like exercise of shooting a bottle of his head with a frisbee! Wonderful stuff! Two other presentations on the third day were both to do with space. A memorable presentation from NASA’s Associate Administrator of Education, Leland Melvin. He shared his time on the International Space Station and his experience with robotics in space. Finally a presentation from Dr Red Whittaker, Carnegie Mellon University, on a planned robotic expedition to the moon to explore mineral resources there. The extraordinary machine that will be landing and doing the work was shown. Watch out for news of the pin-point landing and exploration in October 2015. Fascinating stuff. Finally these tweets “I know I say it every year, but this was THE BEST #NIWEEK EVA!” (@crelfpro ) and “Had a great time @NIWeek! Already excited for next year.” (‏@TandelSystems). Oh yes! Next year they do it (or something like it) all over again. Mark your diary – NI Week 2014 – 5th to 7th August 2014 in Austin Texas USA. 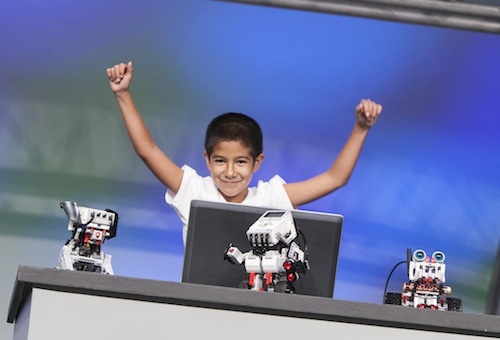 NI Week on twitter #NIweek! 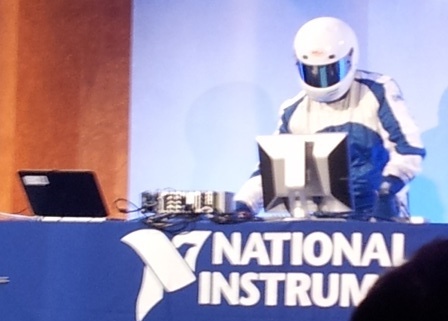 So much geek at #NIWeek! Although Read-out was unable to sail over to Austin however we did make it to last years NI Day event in London (GB). Here is what we said about it! No boxes with magic pixies at Westminster! David Owen, Business Development Manager at Pickering Interfaces talks about an application in one of the most complex scientific sites on the planet. The Large Hadron Collider (LHC) at the European Organisation for Nuclear Research (CERN), has come to the forefront of public attention recently with the discovery of the Higgs boson – the so called God’s particle. 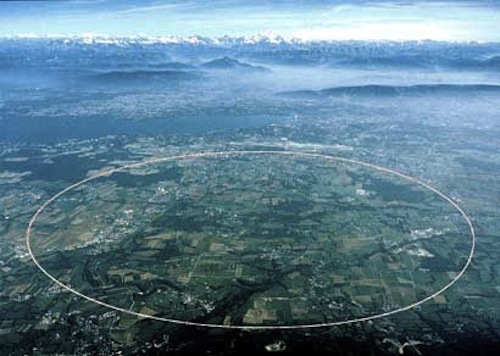 CERN operates a high energy collider 100m under the Swiss and French border near Geneva to explore the boundaries of high energy physics. It is high energy physics on a huge scale, matched by no other facility in the world. Much of the attention is focussed on the experiments which have to run to capture all the data available in order to identify new particles. However monitoring of the ring itself is also a major undertaking and this is accomplished through the Open Analogue Signal Information System, referred to as OASIS. Signals from the collider monitors can be tapped at many places to make sure all is well in the system. Even a large budget operation like CERN though has to make sure that its budget matches the finances available from sponsoring governments (and therefore tax payers in many countries), so this system has to be cost effective. The OASIS system uses a set of digitisers to acquire the signals and this is relayed out to users over an Ethernet system, but the digitisers are expensive and there cannot be one digitiser for every monitor signal. 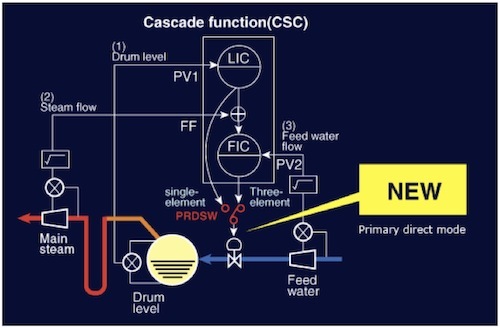 A switching system is used to allow OASIS to select which signals to show from the variety of signals available, and that switching system has historically been based on VXI and more recently cPCI solutions, but that is changing. CERN is undergoing a major 2 year upgrade to its systems so the collider energy can be raised (almost doubled) and more new physics explored. The collider has now been closed down (as of February 2013) for this scheduled upgrade, and more upgrades will occur in the future. Inevitably part of that upgrade process requires the OASIS system to be upgraded. 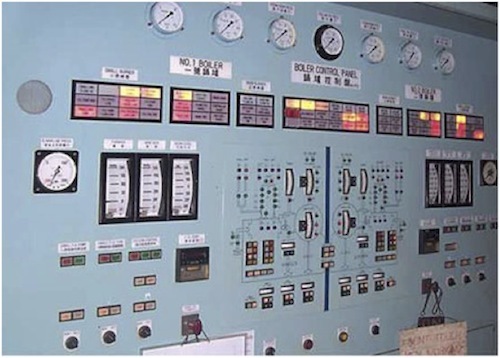 The monitor signals present some challenges to a switching system. CERN concluded they wanted to be able to select up to 16 out of a maximum of 104 signals available for digitizing at each location. The analogue signals have frequency content to many MHz and there is potential for considerable differences in level from the different monitors. That put major constraints on the allowable crosstalk between channels as well as the bandwidth. If a signal from a high level source was selected and a signal from a low level source at the same time on a different channel then the large signal could breakthrough into the smaller signal and confuse the operators. Another significant issue for CERN is the sheer size of the collider, you cannot walk from one location to another in any reasonable time – the tunnel is even equipped with bicycles to speed up transportation between locations. Management at a distance is an essential requirement for any solution. CERN approached Pickering Interfaces for ideas on a new switching system to be deployed during the scheduled upgrade. The basic requirement was for a matrix with 10’s of MHz of BW and a size of up to 104×16. Discussions made it apparent that crosstalk would be a major concern in any implementation, and the sheer size of the matrix required made it hard to use traditional approaches to solve the problem, meet the performance objectives and meet the budget requirements. Clearly the cost of the matrix had to be significantly lower than placing a digitiser on each analogue signal. The preferred platform was PCI in an industrial computer but it became very apparent that the fixed modular structure of PCI did not lend itself to this sort of switching system, and the same problems applied to cPCI and PXI. To implement a high performance matrix of this type required the switching system to determine the form factor of the final solution – and that ruled out using anything which could be described as fixed modular format. A modular approach was needed to make the matrix system size scalable as different locations required different sizes of matrix – one location might require a 64×16, another might require a 104×16. 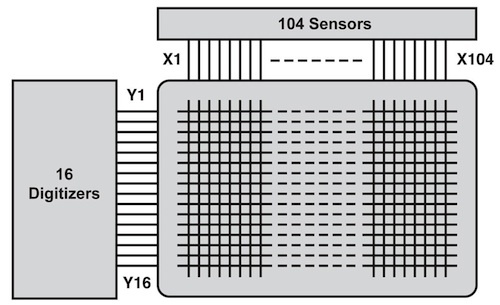 Systems could also have their requirements changed with time as the number of sensors changed and more (or less) channels added. That strongly indicated that a proprietary scalable modular approach was going to be required, the modules sized to fit the design requirement of the matrix. That encouraged Pickering Interfaces to investigate an LXI route where there is a freedom of size. LXI had some major advantages for CERN, much of their system was already running Ethernet data connections so using it to manage a matrix was not an issue. LXI control also means that they could access the matrix state over their network without intervening controllers by accessing the LXI products web server. During discussions another issue arose, the experiments being conducted on the collider are large and expensive operations and the last thing that CERN wanted was to find that a switch in the matrix had developed a fault and was preventing monitoring operations. Knowing that Pickering Interfaces had implemented self-test in both LXI and PXI (called BIRST) CERN requested some sort of self-test in the switching system, and ideally because the switch needed coaxial connectors the test had to be capable of running with the inputs and outputs connected to a non-powered source/load. Being able to initiate and run a self-test remotely would also be a powerful tool for OASIS. 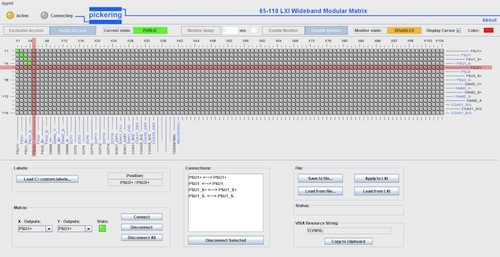 The solution arrived at for CERN was the 65-110 Wideband Modular Matrix. The switching matrix is based on a chassis which has a dedicated analogue bus system. Into the chassis a set of plugins can be installed, the left hand pair providing the 16 Y access connections required for the digitisers. A set of X plugins then provide the analogue signal inputs, 8 signals to a plugin module. The number of X plugins can be scaled from just one (8off X connections) up to 13 (104 off X connections), allowing the user to create a matrix of any required size within the chassis constraints. Not installing the second Y plugin allowed Y=8 systems to be created – though CERN had no specific requirements for that configuration other users might find it an advantage if they had smaller system requirements. The design is fully user configurable, plugin modules can be physically installed and uninstalled and the firmware in the LXI controller will recognise the configuration and amend the available matrix size to match the plugin modules installed. The web based soft front panel, a feature strongly encouraged by the LXI standard, allows driverless control of the matrix. The matrix is a modular solution, but the module size is scaled to fit the application rather than to abide by a particular standard. The 65-110 plugin and analogue bus system had to be very carefully designed to maintain the RF performance, and in particular the crosstalk, to ensure it was fit for the application. The RF BW in a typical configuration is above 300MHz, driven largely by the need for low crosstalk, and has excellent VSWR. Like many modern instruments the modules communicate internally to the LXI controller via a PCIe interface and the LXI controller “virtualises” this as a single matrix, so the LXI controller makes the user task of programming the matrix much easier. The LXI controller hides the complexity of the switch system from the user, the matrix appears as just one entity to the user and not a set of separate sub-assemblies (modules). It behaves like a bench instrument rather than a modular instrument. The design uses an analogue bus underneath the plugin modules rather than being at the back of the plugin which is normally the case with modular systems – in a matrix it makes much more sense to have the X and Y signals lines at right angles to each other to improve crosstalk and isolation. This is a feature of LXI – there are no particular restraints on the size of the modules or the placement of an analogue bus so Pickering Interfaces were able to design a modular structure to suit the switching requirements. Figure 4 The web interface on 65-110 allows easy access to the self test facility through the standard LXI cofiguration pages. The 65-110 includes a self-test facility checks all the signals paths for failed relays (closed, open or high resistance). 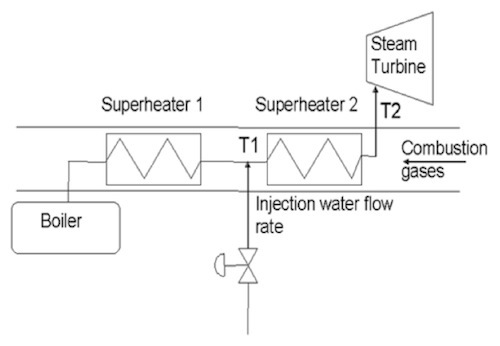 The design uses low level signals so that the user connections do not need to be disconnected in order to run the test (a time consuming process with over 100 coaxial leads connected, and not very practical given the distances involved) and the self-test can be initiated over the LXI compliant web interface without the use of an external controller program while a user is many kilometres from the matrix. 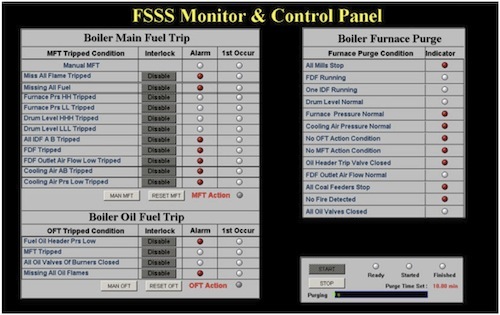 The user simply initiates the test, the embedded LXI controller runs the test and the results can be viewed over the web interface or reported to the user as a file. A monitor facility is also included in Pickering Interfaces LXI products that allows a user to graphically display the matrix setting without having any program access to the matrix – LXI systems allow the easy creation of systems where multiple controllers are present. One controller can be setting the switch, a different controller can be monitoring what is the settings are without disrupting the programming. The CERN requirement shows why LXI provides an excellent platform for the creation of difficult switching systems where the performance objectives are high, the switch is complicated and easy remote access is required. CERN will be making full use of the LXI aspects of 65-110 as part of the OASIS system during its next rounds of experiments running at ever higher collider energies. No boxes with magic pixies at Westminster! Robert Morton, MD of National Instruments UK & Ireland welcomes delegates. Youth, excitement and enthusiasm! These were the first impressions at the event organised by theNational Instruments Ireland and UK organisation in the Queen Elizabeth II conference centre just across from historic Westminster Abbey and its famous school. • Among the best in the world! The event opened with the keynote address from National Instruments co-founder Dr James Truchard, who is President and CEO. Dr T as he is known throughout the organisation gave an interesting run down on the development of the company and the technology leading to the 21st centuray offering presented today. Moore’s Law is a computing term which originated around the 70s; the simplified version of this law states that processor speeds, or overall processing power for computers will double every two years. 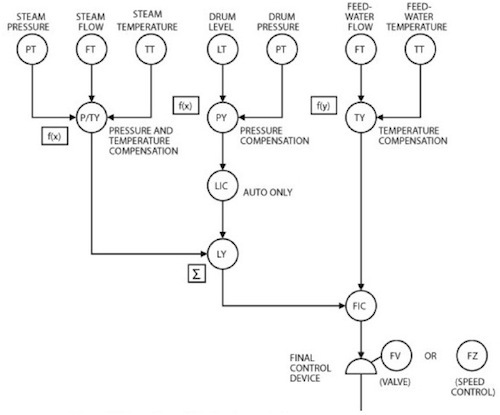 What occured during the history of National Instruments was quite revolutionary in that the unit in the process control loop of sensor – instruments – final control element, has changed. Thus the central item, the instrument, is no longer hardware but software and it is no longer separated but embedded within the system. This has an important impact on process and testing procedures not always understood within the automation sector. As part of this introductory session NI’s Regional Academic Marketing Engineer, Graham Green, presented exciting insights ito several developements including such diverse applications as CERN, Astronautical applications, to academic projects which while apparantly had little practical application they did help train the engineers of the future in learning the possibilities of what can be done. One of these was presented by a student from Portsmouth University, Matthew Surridge, who with his collegues produced an unique flying macine model – the Quadcopter – using FPGA( field-programmable gate array) and a Real-Time Processor, Digital & Serial I/O and LabVIEW. 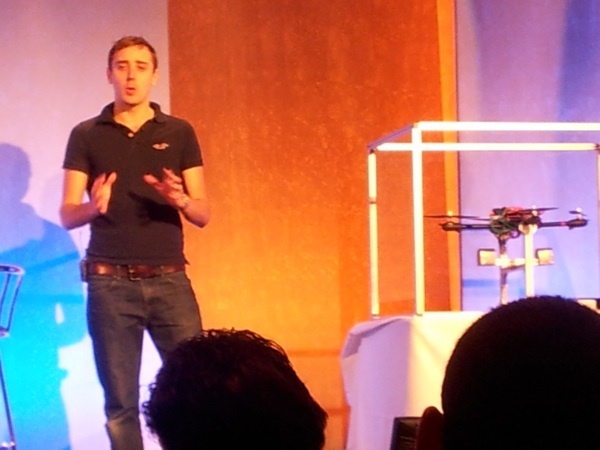 The actual unit was on stage and was allowed show some of its paces but, for health and safety reasons, and to the disapointment of at least one attendee, its flying was confined to a small transparent container. However we did see a short video of the unit in controlled flight. There was a brief presentation on the delivering of clean power developed to enable mobile comms infrastructure in rural Africa by Dr Mike Rendall with Diverse Energy’s “Powercube.” And two medical Doctors showed passive acoustic detection using LabVIEW and NI FlexRIO to improve ultrasonic tumour therapy. Unfortunately we missed the panel discussion,“Are New Engineering Graduates Ready for Industry?” This formidable panel comprised Mike Sutton, Technical Fellow at Lubrizol, Jose Lopes, Head of Technical Excellence at Jaguar Land Rover, Prof Martin Levesley, Director of Teaching & Learning at Uni of Leeds, Dr Rhys Morgan, Head of Secretariat to E4E, Raspberry Pi co-founder, Dr Robert Mullins and NI CEO, Dr James Truchard. The panel was moderatored by John Pullan, Editor of Environmental Engineering. Tweets emintaing from this were very stimulating: “Who should be doing more to graduate engineers ready for industry? Companies? governments? universities? Who is at fault.” “Dr Rhys Morgan, Education for Engineering (E4E) raised chuckle in #NIDaysUK panel discussion ‘computers not just boxes with magic pixies in..'” I was sorry to have missed this however later on the press people had a discussion with Dr Robert Mullins and the unique Raspberry project which helped fill in some of the matters raised. All through the day the exhibition areas were open and were well attended throughout and there were also multiple opportunities for hands-on technical sessions. The keynote in the afternoon was delivered by Dr Robert Mullins, who is a co-founder and trustee of the Raspberry Pi Foundation. This isa charity, of which this writer was unaware to foster the interest of school-going youth in computer science in particular and in the almost unlimited possibilities available through this discipline. The Raspberry Pi computer has sold in the hundreds of thousands since its launch earlier this year (2012). The hope is that these flexible low-cost machines will help build a generation that can confidently control, adapt and exploit the digital world. This talk described the Raspberry Pi story so far, the motivation for the project and the journey since launch. He described some of the projects that are exploiting the Raspberry Pi and the significant challenges that must be overcome to ensure the original goals are met. His Foundation created the Raspberry Pi computer with the hope of helping to inspire, enthuse and educate the next generation of scientists, designers and engineers and it appears that the success so far extending far beyond Britain shows the validity of this hope. We than heard Kyle Voosen, appointed last year as Marketing Director, NI UK & Ireland, then explored the frontiers of LabVIEW. 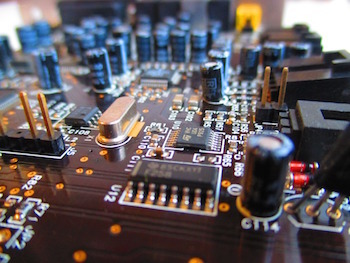 Examining an exciting variety of applications, prototypes and research, from mobile measurements and cloud integration to high-level synthesis and multirate digital signal processing. All in all it was a worthwhile experience with measurable excitement and the ageless exuberence usually associated with youth.